Here at quip, we believe in smart design. Design is more than just green vs. blue brush handle; it’s understanding real needs and creating simple solutions that improve everyday experiences. A shining example of a brand doing exactly this is our good friends at Bevel, with their beautiful shave system! We get excited when we meet others who share our passion for good design, and we will try to use this blog to celebrate these compatriots as we find them. 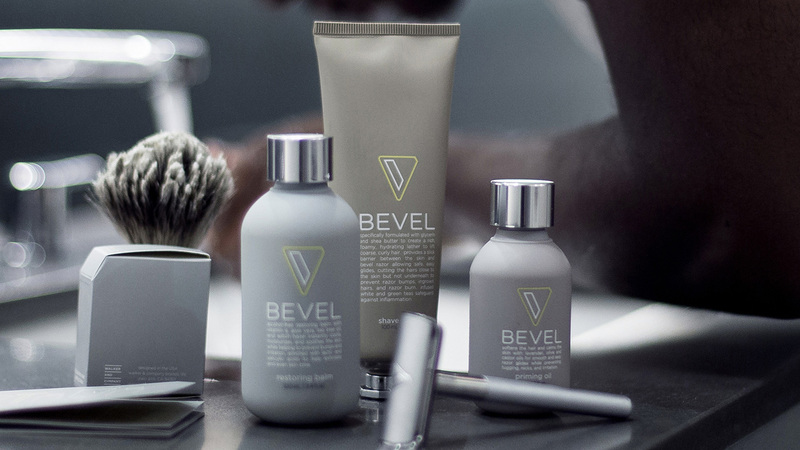 One of the brands we felt compelled to celebrate is Bevel, the first shaving system designed to reduce razor bumps, particularly for men and women with coarse, curly hair. The Bevel product (a single-blade razor that comes with a suite of creams and balms) is smart, simple, and sleek – characteristics that parallel quip’s commitment to honest, meaningful design free from needless gimmicks. Let’s break it down a bit – firstly, the single-blade Bevel razor is a stunning piece of industrial design that will empower you every time you pick it up, but its beauty is more than just skin deep. Bevel speaks to a specific need that real people have – men and women with coarse or curly hair have long dreaded shaving their faces (men) or legs (women) because doing so may leave them with uncomfortable – and sometimes embarrassing – razor burn. Bevel delved into what actually causes this burn, and used that knowledge to create a product that turned the once painful experience of shaving on its head – turning it into an act of joy and pride. That’s something special. 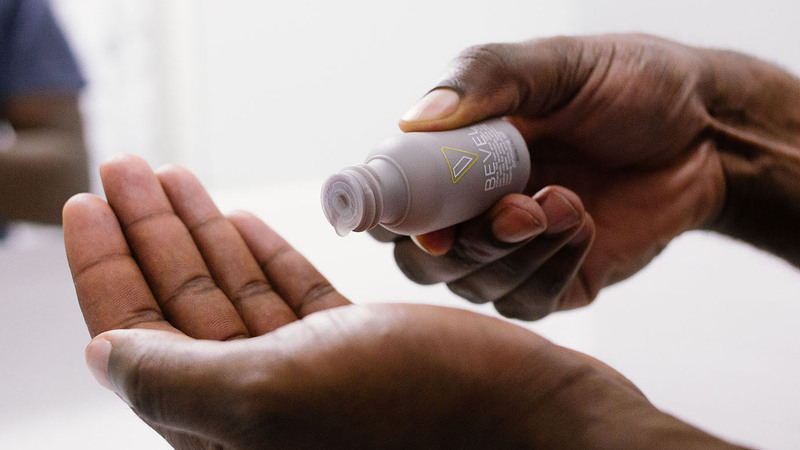 Bevel sees the human face and human experiences behind their members, and designed a straightforward yet elegant product to transform a part of their personal care routine. To create well-designed products, we need to have a real understand of how our members live their lives. Bevel understands how it feels to be confident in yourself and your first impression, and also gets our day-to-day practicality needs; this empathy with both the emotional and the everyday drove them to create a smart, sleek, product. That’s the goal of design: use empathy to create products or services that make sense, and solve real problems – whether it’s the difficulty of sticking to the right tooth brushing routine or the challenge of finding personal care products that allow all people to feel confident – not create false problems and gimmicks to solve them. This approach mirrors our own almost perfectly, which is why we wanted to share their story with you! Beyond simple design and subscription-based service, the heart behind their product is what makes Bevel so awesome. In their own words, “We all have things that are important to us and that we want to give our best impression. 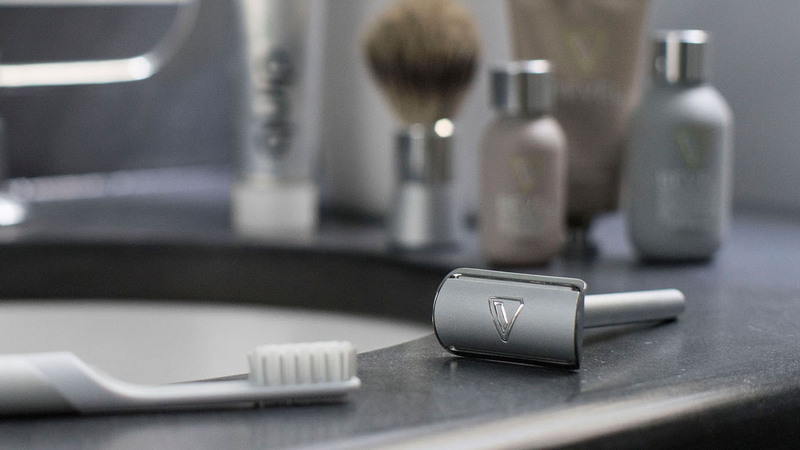 Whether it's an interview, a date, or a job, a clean, smooth shave is a rite of passage that we all should enjoy.” Bevel combines this act of transformation with an understanding of day-to-day practicality. Similar to quip, Bevel offers a subscription service in which members can receive refills (on blades, but also on priming oil, shave cream, and restoring balm) every 3 months. No more time in the drugstore spent staring at way too many razor options. Instead, one clean, easy, effective, and beautiful shaving experience. Cheers to Bevel for getting it right and thanks also for offering our readers a free 1-month trial worth $30 using the link below! Want your first month ($30) free? Share Your Quip Pics To Win A Year Free! Travel Tips For Trips With Your Quips!